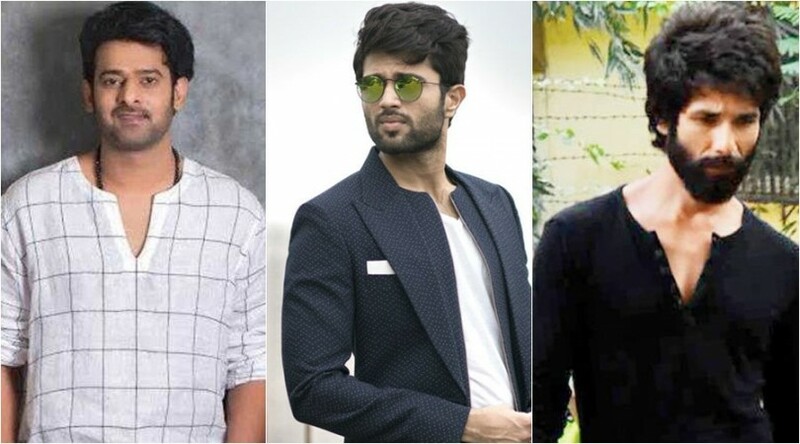 Furore erupts after hair stylist says he heard Prabhas saying that Shahid Kapoor looked better than Vijay Devarakonda in the Hindi remake of Arjun Reddy. Talking to the media, hair stylist Hakim Aalim said that he showed the teaser of Kabir Singh to Prabhas on the sets of Saaho in Hyderabad. The Baahubali actor was impressed with Shahid Kapoor. Later, Hakim helped the actor speak to the Bollywood star over phone. In his conversation, Prabhas said that Shahid looked better than Vijay Devarakonda in the Hindi remake of Arjun Reddy. Hair stylist Hakim Aalim's statement created a lot buzz on the social media over the weekend. Many fans of Vijay Devarakonda were left red faced by Prabhas' remark. Some upset fans expressed their outburst against the Darling star for underrating their favourite actor in a bid to praise Shahid Kapoor. But now, a source close to Prabhas says this act was an overdrive by Shahid Kapoor's publicity machinery. He claims that there is no proof for the phone conversation between these two actors. Even if they had spoken over phone, it is their personal stuff and it should not be put on the public domain. However, the PR of the Bollywood actor has used it for the publicity of Kabir Singh, which is unethical. "It is not likely that Prabhas would say that the remake looks better than the original. When and where did he say that? And to whom? The report quotes Prabhas' hairstylist saying that he heard Prabhas praising Shahid Kapoor on the phone and that apparently, he heard Prabhas say that Kabir Singh looked better than Arjun Reddy," Deccan Chronicle quoted the source as saying. "Firstly, it is extremely unethical to eavesdrop on a private conversation between two individuals (in this case, Prabhas and Shahid) and then put it on a public platform as news. Secondly, did this telephone conversation between Shahid and Prabhas really happen? We don't know that! Thirdly, why are the makers of Kabir Singh encouraging comparisons with the original?" argued the source.